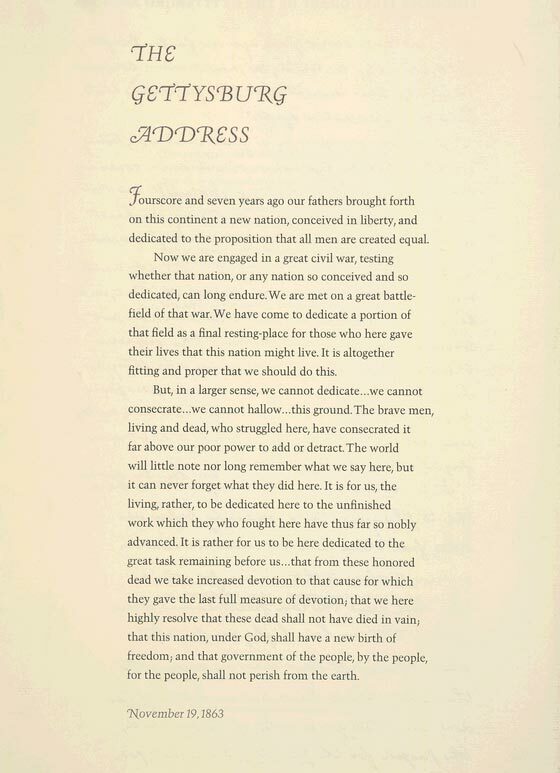 On November 19, 1863, at the dedication of a military cemetery at Gettysburg, Pennsylvania, during the American Civil War, President Abraham Lincoln delivers one of the most memorable speeches in American history. In just 272 words, Lincoln brilliantly and movingly reminded a war-weary public why the Union had to fight, and win, the Civil War. Read more from the History Channel here. If you are interested in researching more, find lessons plans here and here. 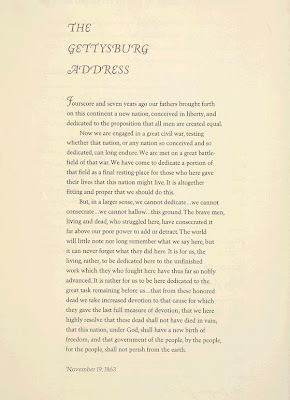 I memorized the Gettysburg Address when I was a kid growing up in the public schools of Tennessee and assumed the things it said were true. That's when I was a child. Looking back, from the perspective of having studied American history for more than sixty years, I realize how false Lincoln's speech really was. Dishonest Abe Lincoln was a master of political spin, whose words were the polar opposite of his deeds. Government of the people, by the people and for the people was exactly the thing he was trying to crush in his unconstitutional and brutal attack on the Confederate nation. Lincoln's words are a mockery when one considers that he held 13,000 northern political prisoners, without trial or due process of law - just because they disagreed with his illegal war. I didn't realize that was today! Thank you for sharing that!